The IGT wines are Italian wines that better recall the family and family tradition. These wines are made almost exclusively with local grapes and are the best choice when you are looking for an excellent value wine! In this case, I’m glad to propose you a great IGT wine: the Santa Cristina Rosso 2016. 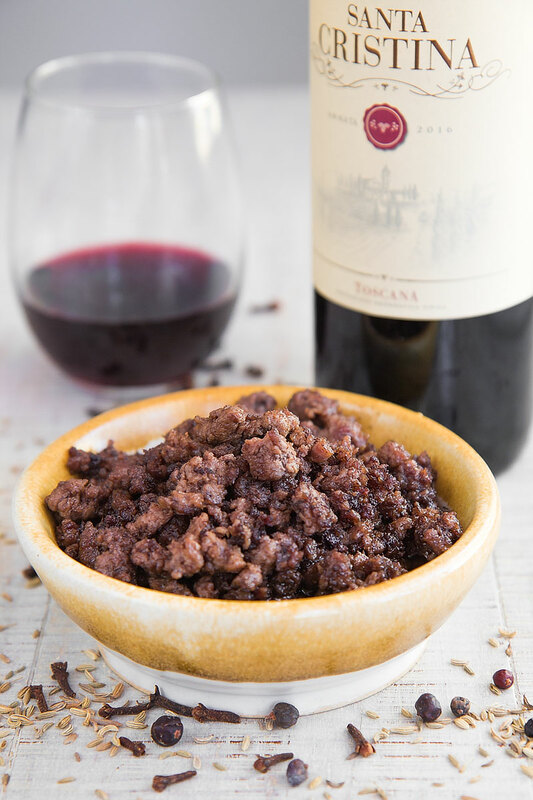 To honor the family roots of this wine, I paired it with a tasty lamb sauce pasta: a dish of the Tuscan tradition enriched with spinach and Tuscan Pecorino, delicious! Opening a bottle of IGT (Indicazione Geografica Tipica) means preparing to sip authentic local wine. Indeed, this classification indicates the wines produced using at least 85% of local grapes! The IGT wines recall the family gathering and the not labeled amazing wines produced into the cellars by our grannies, and fathers: I remember the long-term family challenges distinctly to see who make the best wine! A couple of days ago I tried a nice IGT, the Santa Cristina Rosso 2016: even though I’ve been away from my country for many years, I felt like at home! This wine is delicate and fruity, with a persistent aftertaste, but also well balanced in alcohol and body: a perfect and elegant everyday Tuscan wine! 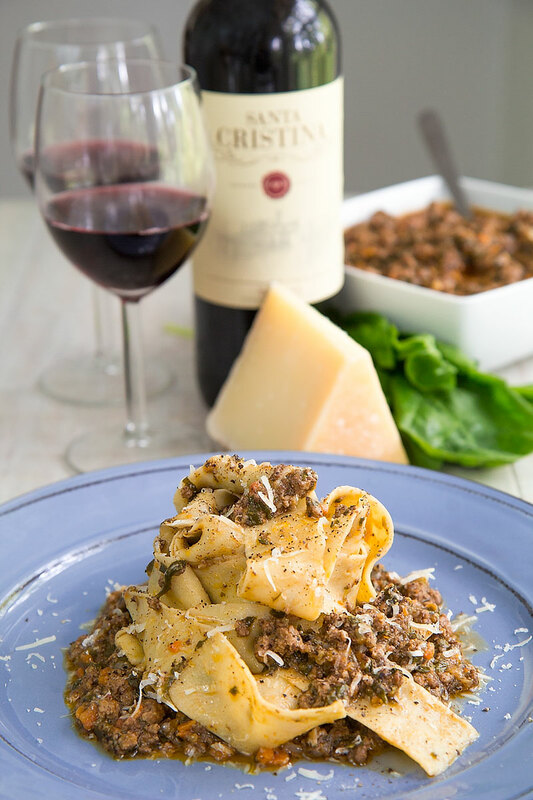 To celebrate this fantastic wine, I decided to prepare a classic lamb ragu sauce enriched with spinach and Tuscan Pecorino: here the recipe step by step! First, place a skillet over medium/high flame, then pour the meat along with 2 tbsp of olive oil, and sear the ground lamb until golden brown, stirring frequently. At this point, raise the flame and baste the lamb with 1/2 cup of Santa Cristina Rosso, keep cooking until the alcoholic part of the wine is completely evaporated. Finally, pour the meat in a bowl, covered. Now, rinse, peel and mince the carrots and onion. Then, mince the celery as well, and crush the garlic cloves. 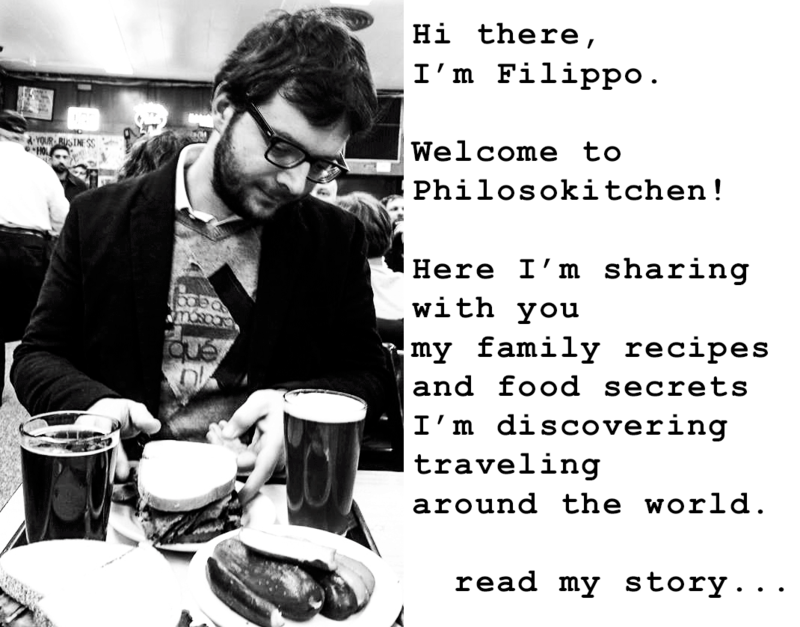 After that, prepare the “Soffritto”. Pour the previously minced vegetables into a saucepan along with the cloves, the crushed juniper berries, the fennel seeds and two tbsp of olive oil. Then, saute over medium flame until soft and translucent, stirring as needed. At this point, add the tomato puree, then the seared meat. Eventually, low the flame and cover: you want the lamb ragù very gently simmering under the lid for 3 hours. In case the sauce is drying too much, add of broth or water, a little at a time, and only if needed. 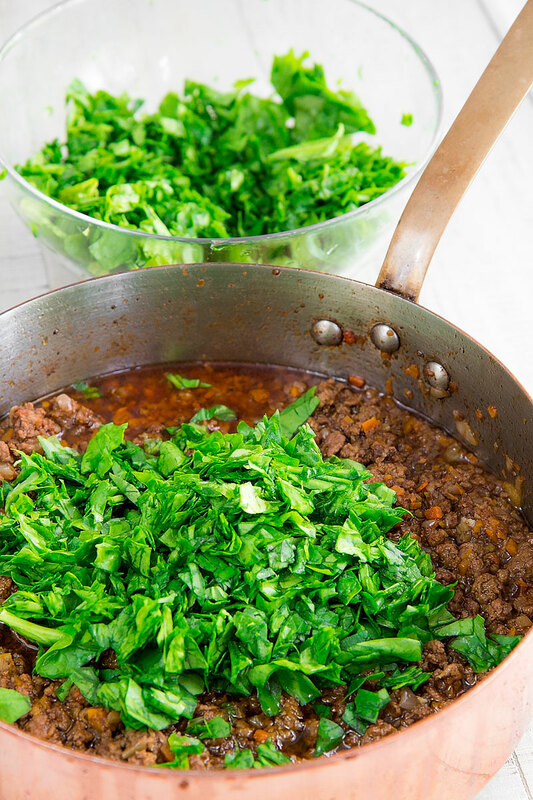 Discard the stems of the spinach, then mince the leaves coarsely. 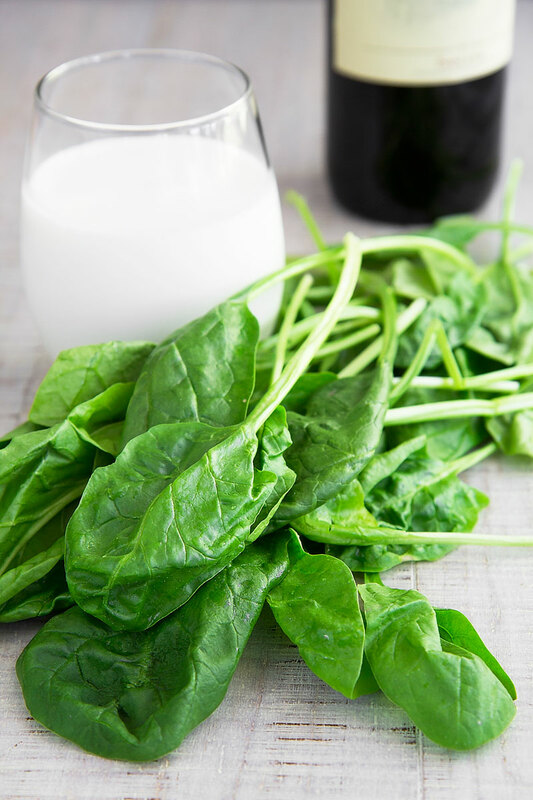 After 3 hours, add the minced spinach and the milk, stir and keep cooking 30 minutes more. 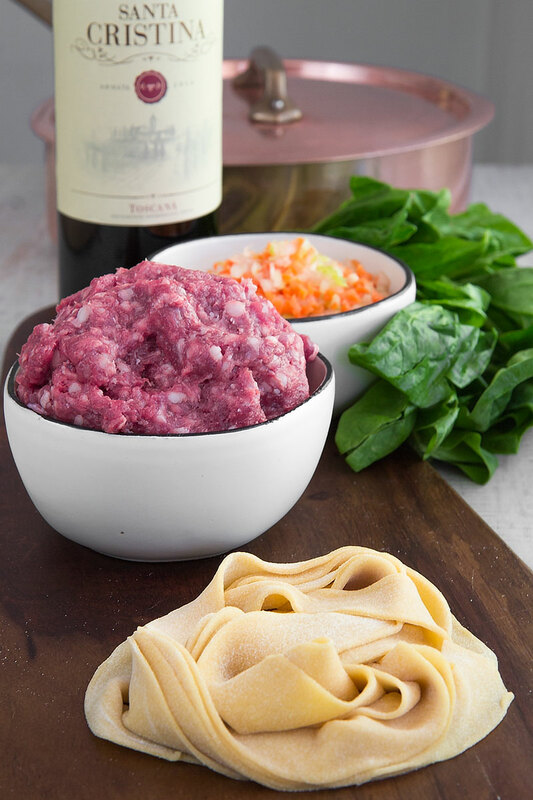 Now, cook the Pappardelle – or your preferred pasta – in a pot filled with 5 Qt of boiling water and 4.5 tbsp of coarse salt. Then, raise the pasta “al dente” and toss with the lamb ragu. Finally, garnish with grated Tuscan Pecorino and black pepper. Serve immediately. First, place a skillet over medium/high flame, then pour the meat along with 2 tbsp of olive oil, and sear the ground lamb until golden brown, stirring frequently. 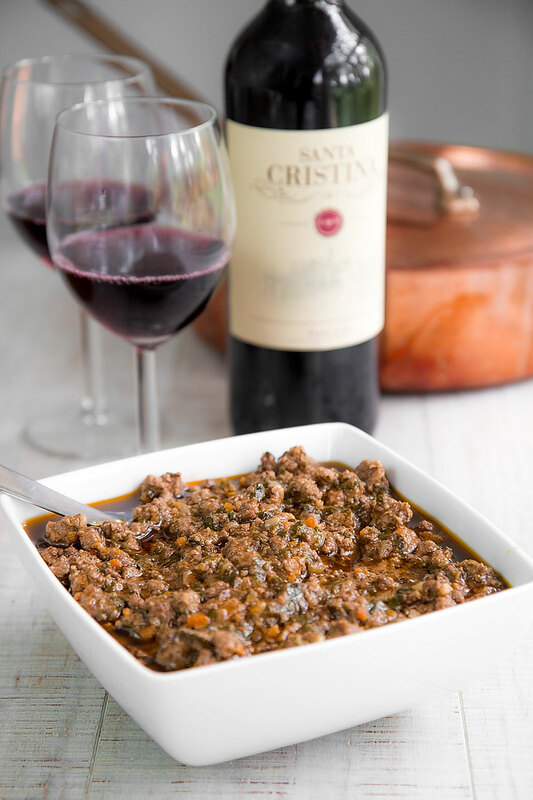 At this point, raise the flame and baste the lamb with ½ cup of Santa Cristina Rosso, keep cooking until the alcoholic part of the wine is completely evaporated. Finally, pour the meat in a bowl, covered. After that, prepare the "Soffritto". Pour the previously minced vegetables into a saucepan along with the cloves, the crushed juniper berries, the fennel seeds and two tbsp of olive oil. Then, saute over medium flame until soft and translucent, stirring as needed. At this point, add the tomato puree, then the meat. Now, cook the Pappardelle - or your preferred pasta - in a pot filled with 5 Qt of boiling water and 4.5 tbsp of coarse salt. Then, raise the pasta "al dente" and toss with the lamb ragu. Finally, garnish with grated Tuscan Pecorino and black pepper. Serve immediately. « BAGNA CAUDA recipe and history – all you need to know!